OpenArena is an opensource first person (doomlike) shooter. You can find it in the Ubuntu repository using the package manager, or, for the windows version, check this mirror, or the others listed here. I've played it a few times, and it plays well - much better than Nexuiz. If anyone wants to run around cool maps shooting at me, leave me a comment. Nice that its free 'as in speech' software as well. A Cognitive bias is distortion in the way humans perceive reality. 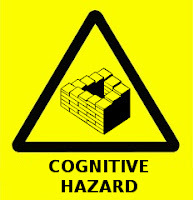 Check out a really useful list of cognitive biases here. Some of these have been verified empirically in the field of psychology, others are considered general categories of bias.